What do you love doing? I like to write. I dig a great movie, I hoard cheesecake, and I adore new purses, but I come alive when I write. What makes you feel blissful? Are you trying to kickstart a new venture, pursue long-term goals, or basically weather the storm? All of those things which make us feel alive, they are so valuable, are they not? What would life be without bliss and passion and fulfillment? You know, I’ve noticed that those undertakings, while bringing sparkle and adventure and pink polka dot fuzzies, come with a side of heartbreak and an extra shot of the tears of your ancestors. Adventures aren’t always fun. Behind the light, shadows lurk. The good news is…we’re in this together. ​Ever feel like giving up? Don't do it. Read Ignite and find your spark(le). Want to get it free? Subscribe to my email list and get all the latest encouraging blogs and news. 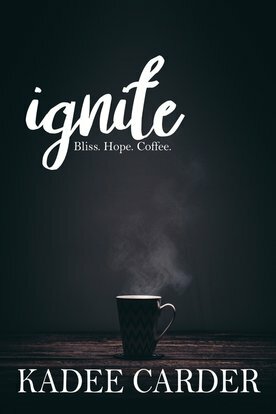 Subscribe to get Ignite free! If you enjoyed Ignite, you'll probably dig the Insurrection series. Share with your own friends, and join the adventure!